Sinsheim - Although Borussia Dortmund could only draw 1-1 with TSG 1899 Hoffenheim on Wednesday night, die Schwarz-Gelben had sufficient reason to celebrate when the final whistle blew at the WIRSOL Rhein-Neckar Arena. Still unbeaten under Thomas Tuchel, BVB already have more points on the board after six matches than they managed over the course of the entire Hinrunde last season. 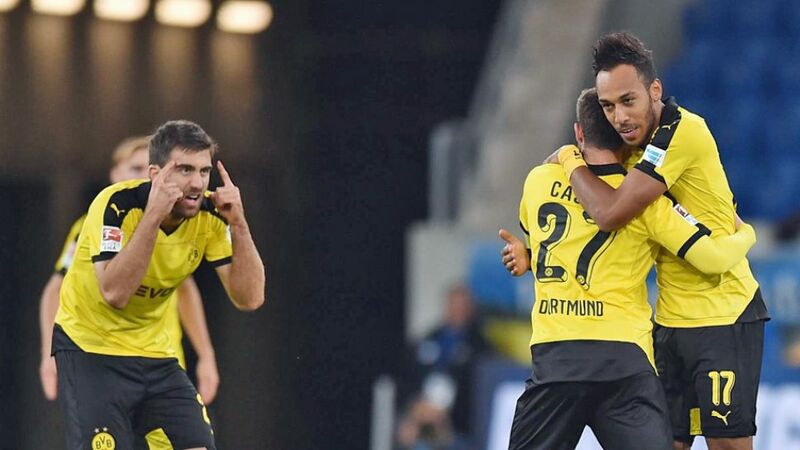 Not only that, but they also have a Bundesliga milestone man in their ranks in the form of insatiable Gabonese forward Pierre-Emerick Aubameyang.